People often concentrate all their efforts to decorate the interior of their houses and forget to take the right care of the outdoor spaces of their houses. 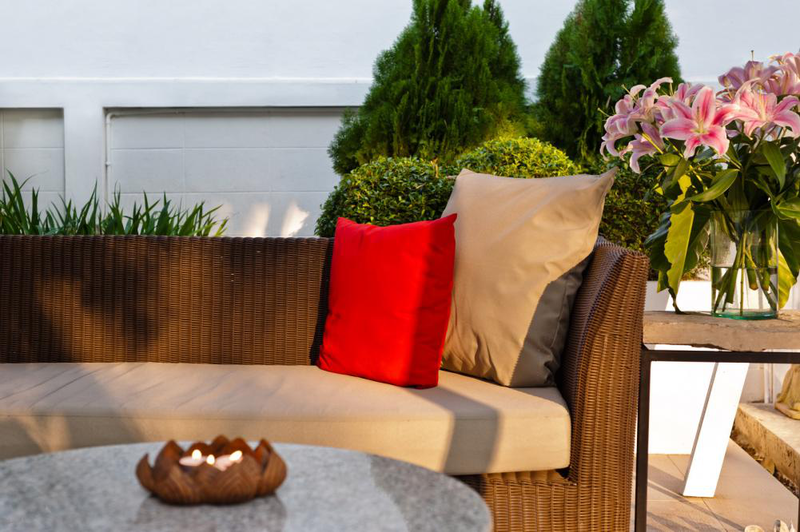 Having an empty and tedious looking outdoor space will affect the first impression of your house. Apart from that, you can use this unused space for many useful purposes. In this article, we will look into some of the ideas that can help you to fill up you space creatively. Even if you have a small pool in the front or the backyard then make sure that there must be some seating arrangements next to it. It is not necessary that you only add extra long seats there; if you don’t have enough space then you can add simple chairs and table. A simple set of chairs and table besides the pool can not only serve as the sunbathing spot but it can also be occasionally transform into a brunch or dinner spot. You can also add shade there if you are not fond of sunlight or summer season in your area gets very hot. You can change the outlook of your house by making the outdoor space of your house therapeutic. Yes, adding suitable color schemes to the space can help a lot the residents to get in better and light moods. You can even consult the exterior and interior designers who actually know about color therapy. You can add the colors of your choice in the form of outdoor furniture, different type of colorful plants. You can also add different color designs to the floor as well in the form of carpets and floor rugs. You can increase the aesthetic appeal of your outdoor space by painting a wall with vibrant colors and creative designs. Even though it depends on everyone’s taste but if you add a fire pit in your backyard then it can make things exciting for you out there. It will be then cozy and comfy instead of inconvenient to sit outside in chilly nights. You can even do a bonfire in your own outdoor space if you have a fire pit there. If you have enough outdoor space for a long dinner table then you can setup a dinner area in this area. With more seating available on the table you can invite guests to enjoy a dinner under the stars. Using this space regularly to do dinner can also reduce the consumption of energy that would be needed to do the dinner inside the house. By incorporating all those changes that are discussed above, you can fill up the outdoor space of your house for better use. You can enhance your experience and spend better time in the outdoor space of your house by renovating the area.